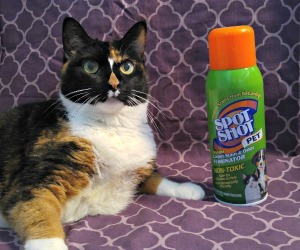 We received these products from Chewy.com at no charge in exchange for our honest review. Pawsitively Pets only shares information we feel is relevant to our readers. 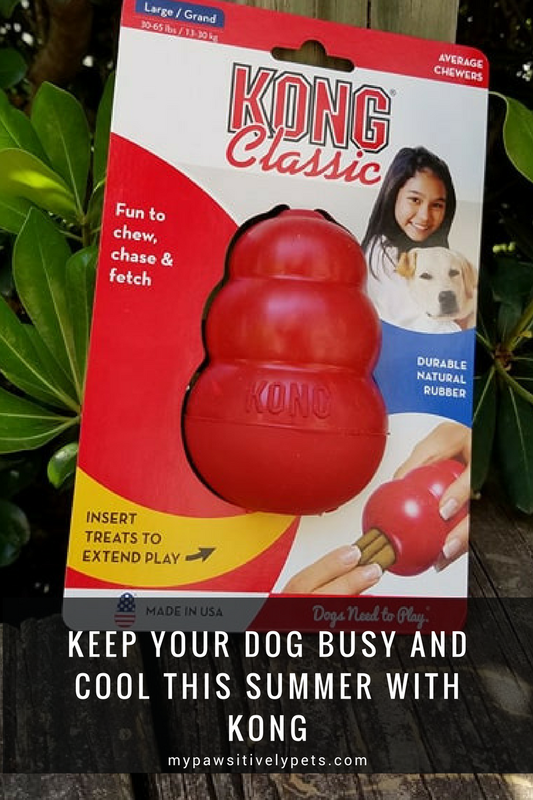 One of the most popular dog toys available today is the KONG Classic. If you have a dog, you have probably seen them before. They are a staple for homes with dogs. These toys offer enrichment by helping dogs' instinctual needs. Not to mention they are extremely durable. If your dog is a strong chewer, having a KONG for them is a must. Not only do they fulfill a dog's need to chew, but they are fun to play with too. The durable rubber that they are made of has an unpredictable bounce that's perfect for dogs who like to fetch. Probably the best part about a KONG Classic Dog Toy is that the center is hollow, allowing you to "stuff" it with a tasty treat that your dog has to work to get out. Freeze a stuffed KONG for extra fun. This can keep a dog busy for hours and is great for reducing boredom and can help with separation anxiety. Our friends at Chewy.com sent over 3 KONG Classic Dog Toys this month for our dog, Shiner, to enjoy. 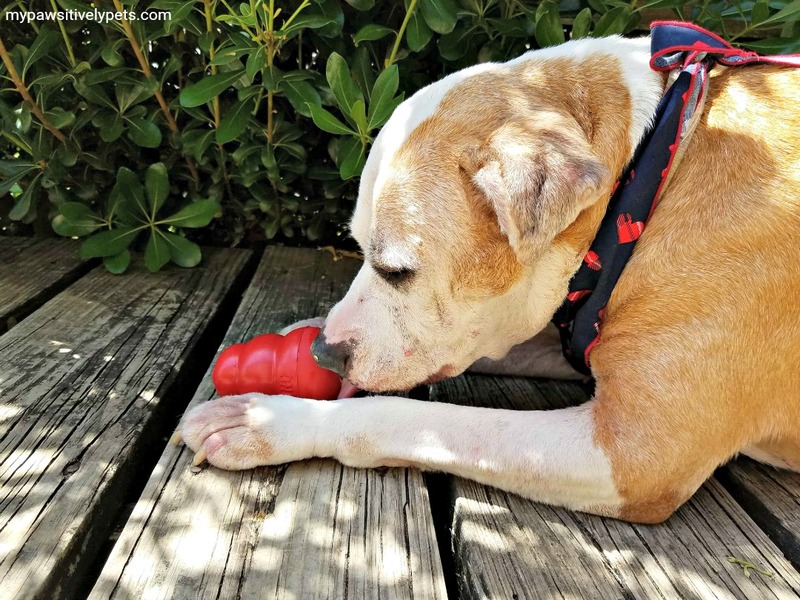 Shiner has always loved KONG toys and she loves them even more when they are filled with something tasty. I like to give her a stuffed KONG when I catch her licking herself a lot. She is an obsessive licker and I think that having a KONG helps to keep her mind off of that. Shiner enjoys peanut butter inside of her KONG, as do I because it's quick and easy but there are a lot of delicious stuffed frozen KONG recipes out there. (Note: Please use xylitol free peanut butter!) Check out these delicious KONG dog treat recipes from Chewy.com for some excellent ideas. The video below has a delicious recipe that includes healthy fruits and vegetables. Having multiple KONG Classic Dog Toys in the home is essential. This way, you can always have one ready to go in the freezer for your pup. With Summer right around the corner, these are a great way to keep your pup cool. Visit Chewy.com to browse their selection of KONG Classic Dog Toys and pick a few up for your dog. Has your dog had a stuffed frozen KONG before? What did they think? Let us know in the comments! 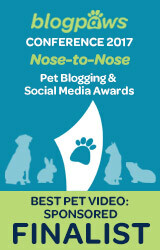 Are you a #ChewyInfluencer? 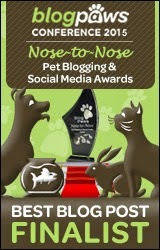 Please join us with Golden Woofs for the monthly #ChewyInfluencers Blog Hop! Link up below.